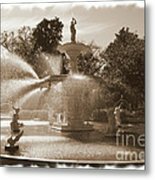 Queen duvet cover (88" x 88") featuring the image "Savannah Fountain In Sepia" by Carol Groenen. Our soft microfiber duvet covers are hand sewn and include a hidden zipper for easy washing and assembly. Your selected image is printed on the top surface with a soft white surface underneath. All duvet covers are machine washable with cold water and a mild detergent. 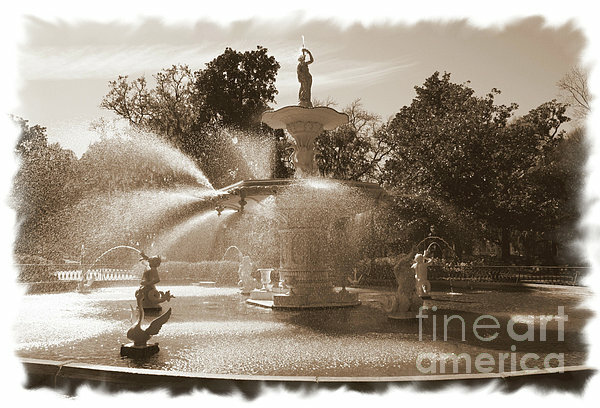 I love the play of water and light Carol ... beautiful image! Exceptional work, Carol. Love the sepia and the framing. 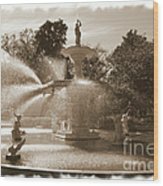 Very nicely presented, Carol- an excellent image of the fountain! I remember seeing this fountain but I didn't get photos of it. Great. 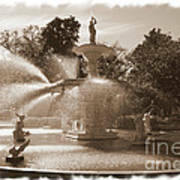 Beautiful fountain scene. Lovely in sepia, Carol. Very Nicely Done Carol ! !